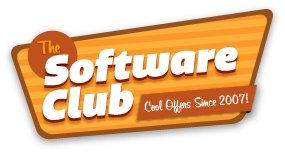 Use a combination of our coupon code above and the onsite discounts at Cyberlink to save on software products. Choose from top sellers like PowerDVD, PowerDirector, PhotoDirector, Director Suite, YouCam, Power2Go, MediaSuite as well as Creative Packs and Plugins. Check below for product-specific coupons and offers. Buy Directly from Cyberlink with instant downloads and the lowest prices. PLUS Free CyberLink Cloud 25GB (12 months) worth $30. Choose from Ultimate, Ultra, Ultimate Suite Director Suite and Deluxe. Cyberlink PowerDirector 17 is superior video and slideshow editing software for PCs. Enhance your current movies with 100-tracks timeline and new video FXS. PowerDirector 17 also allows you to create high definition movies straight from your hi-def camera or capture device. Upload your works of art directly to YouTube.com or other video sharing websites. Choose from Ultra, Pro and Standard versions. Get Free Power2Go & Power Media Player MR with PowerDVD Ultra. Includes Remote. Power DVD 18 is Award Winning DVD Playback Software for your PC. Experience breathtaking clarity, sharp, bright colours and the best surround sound technology. Feel the vibes with PowerDVD 18’s true home theater DTS & Dolby Digital. Select Ultimate or Ultra. Includes PowerDVD 17, PowerDirector 16 plus way more! Cyberlink Media Suite 16 is the ultimate playback and creativity software for your PC and comes in Essential, Pro and Ultra versions. These programmes allow you to edit and manipulate videos and photos, use your PC to play DVDs and audio (music), burn CD with data or music as well as backup your PC. Inc. YouCam Mobile for Deluxe Looking to make your web cam chats even more fun? Cyberlink’s YouCam 8 is just the ticket. With its facial feature tracking software you can turn yourself into any one of 12 built in avatars that move just like you do. Laugh, talk, frown, blink and your avatar will do the same. There are many effect you can add and many more features too. Power2Go 12 is your perfect solution for burning and duplication of CDs, DVDs and Blu-ray discs. Create and author high-def videos with ease. Adjust enhance your photos to look professional, it’s easy to use. Capture and preserve your RAW file formats while using the multitude of tools to get the most out of your creativity. Suite and Deluxe editions include PhotoDirector Mobile. Create Hollywood style DVDs and Blu-ray quickly and with ease. No previous editing skills necessary. Save up to $60 on Cyberlink Upgrades. If you already own a previous version you can get the latest one at a huge discount. Choose your product below to see specific offers for each. Download trial versions of all your favourite Cyberlink software. Try before you buy. Trials last for 30 days and can be converted to full versions after that period by purchasing a license. PowerDirector 17 – Use voucher: PDR10 to save up to 50%. Free 25GB Cloud Services. YouCam 8 – Use coupon:CL10 to save 10%. Includes YouCam Mobile for Deluxe. PowerProducer – Get up to £10 discount. CyberLink creates entertainment and digital editing software for the home and semi professional market. They have produced more than 20 different products since their inception in 1996 and release updates for many of those yearly to keep on the cutting edge. The Cyberlink cyber week sale starts today! Grab yourself a very special deal on your favourite DVD, video creation & management or other top selling media management tools. Cyberlink help to make your projects pop to life professionally. Right now you can get up to 70% off software like PowerDVD, PowerDirector, Media Suite, Power2Go, Youcam and much more.